Founded in 1814, Wüsthof has been a family company for seven generations, and is now managed by Viola and Harald Wüsthof. 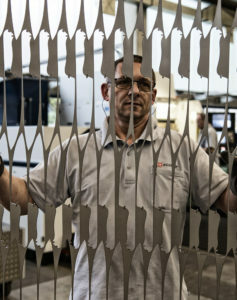 It designs top-quality knives in Solingen, the cradle of the German cutlery industry. The “Made In Germany” hallmark, combined with irreproachable quality and robustness, have made the Wüsthof brand famous. It now exports its knives to more than 80 countries all over the world. Wüsthof knives, recognisable by the famous trident on the blade, are forged from a single piece of special hardened steel with a high carbon content, which guarantees solidity and durability. Thanks to the PEtec (precision edge) technology, they are precision-sharpened to produce a sharp blade with a powerful cutting edge, making them a pleasure to use in the kitchen. These three values are the guiding principles behind our products and our company philosophy. 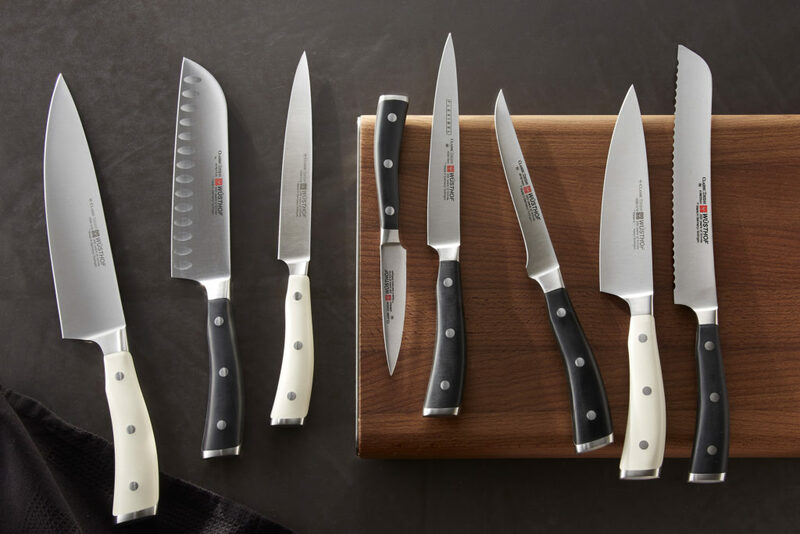 For over 200 years, the Wüsthof family and its staff have had a passion for knives, which they are keen to share with both professional chefs and amateur cooks. Our precision lies in the choice of raw materials and the manufacturing process, the sole aim being to produce an exceptionally sharp blade. This perfection is due to our ultra-modern production lines and the ancestral expertise of our 400 staff.